Pammy Blogs Beauty: IT Cosmetics CC+ Creams now in Three Formulas: Natural, Radiant, and NEW Matte! 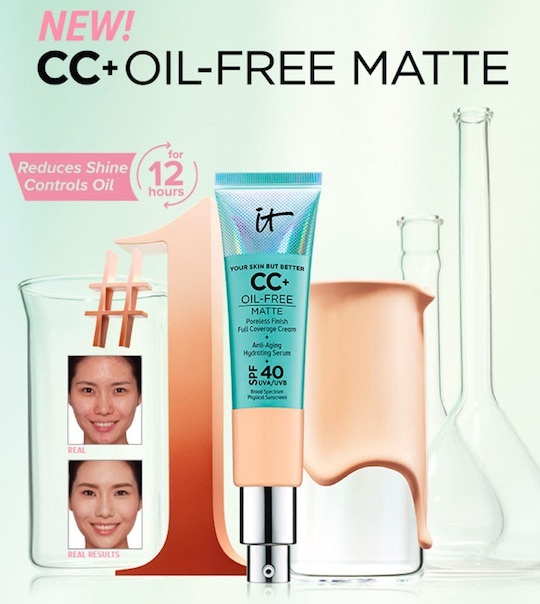 IT Cosmetics CC+ Creams now in Three Formulas: Natural, Radiant, and NEW Matte! Natural, Radiant, and NEW Matte! Let's talk about the fantastic NEW CC+ Cream Oil-Free Matte SPF 40! As a long-time fan of IT Cosmetics, I am always excited to try their new releases. 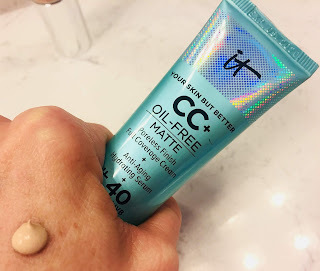 Their CC+ Creams are amazing. They have excellent formulas, skin-loving anti-aging ingredients, plus SPF protection. So, when I found out that they have a new Matte version of a product that I already love, I was super excited to try it out. Now you have 3 versions to pick from if you want a good CC Cream! The IT Cosmetics CC+ Cream Oil-Free Matte SPF 40 gives you buildable full-coverage natural to matte finish (I dont find it to be totally matte...more of a natural/matte finish) that looks natural and flawless. Plus, the formula can help control oil and gives you a beautiful look! Now, my skin is not oily, however it is combination with some oily patches around my nose and chin area. So, I can't fully evaluate how this product wears on oily skin. However, I got nice long wear on my skin. I tried this in the shades Fair and Fair-Light. Fair was the best match for my super light skin tone. It is still ever-so-slightly too dark. However, I can make it work with a light dusting of powder to set my look. I feel that I got good coverage and the product lasted on my skin. 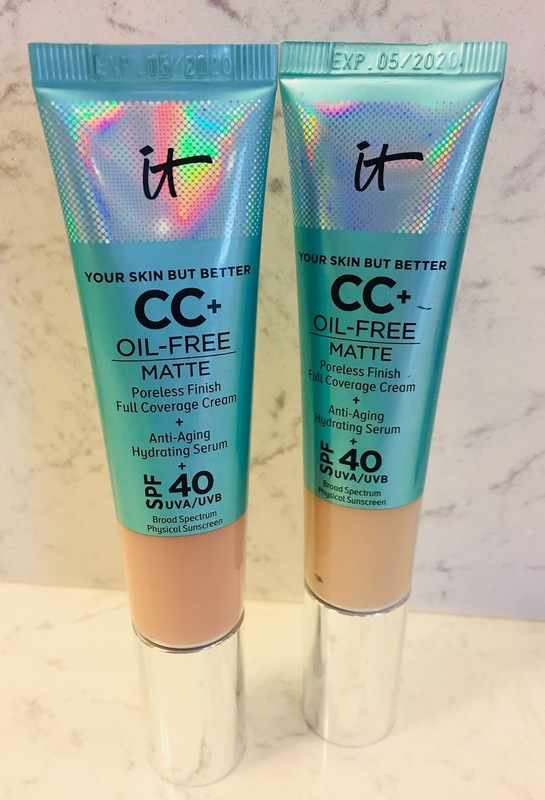 Be sure to check out the new IT Cosmetics CC+ Cream Oil-Free Matte SPF 40 if you are looking for a natural-matte CC Cream!